Whether you’re driving or flying home to the mountains for the holidays—pack an extra bag. You don’t want to have to relegate those jars of your mamaw’s homemade preserves or that box of MoonPies to the corner of a suitcase with socks and dirty clothes. Nope, that’s no way to treat regional delicacies you can’t find in the flatlands. Here’s a short list of staples some of our readers will hoard on trips home this year. What Appalachian goods or products can’t you live without? Tell us in the comments section. Pictured above: Caroline Sneed in Hendersonville, N.C. stocking up on Duke’s mayo before returning to Seatlle, where she lives. “Yes, I do have it shipped to me. Or friends and family bring it to me when they visit. I filled my suitcase when I was home in October,” says Caroline Sneed of Duke’s mayonnaise. A native of Hendersonville, N.C., Sneed, pictured above in a Hendersonville grocery store in the fall stockpiling Duke’s, now lives in Seattle. Duke’s was founded in Greenville, S.C., but was sold to Richmond, Va.-based C.F. Sauer Company in 1929—opening a debate on whether Appalachians or Southerners can claim it as their own. But the addiction to what fans describe as being the best and only-palatable mayo, is what binds Apps and Southerners to this staple. “The thing I can put my finger on about why I like it so much is the flavor,” says Sneed. “It’s really lemony. 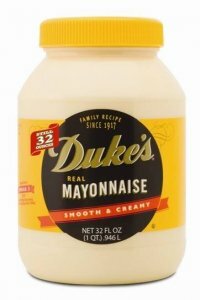 Other mayos that shall remain nameless don’t have as much flavor, and I can see why people think they don’t like mayo—they haven’t had Duke’s.” Duke’s is distributed in 19 states and the District of Columbia. But sadly for Sneed, it’s not sold as far west as Seattle. “I got really excited last year when [retailer] World Market started carrying Duke’s, only to find out that it was a temporary promotion, and now I’m back to having to import it from the South,” she says. This is a favorite of The HillVille HQ, where we believe this is what magic tastes like—two graham crackers with marshmallow filling covered in chocolate. While MoonPie now available in other flavors, like vanilla and banana, the original chocolate version is a best bet for ex-Apps looking for a bit of edible nostalgia. 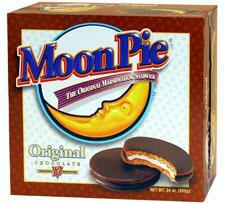 Made in Chattanooga, Tenn., Moonpies were first made in the 1910s, but popularized in the ’30s and epitomized in a country song in the ’50s, “RC Cola and a Moon Pie.” MoonPie sells cases and gift sets of the treats—you can even personalize the outside to send to your favorite ex-App. Ale-8-One: The only pop founded and produced in Kentucky, the high-caffeine, super-gingery champagne-colored beverage is made in the western edge of Kentucky’s Appalachia region, Winchester in Clark county. G.L. Wainscott created the still-heavily guarded recipe and bottled the first batch in 1926. Now distributed in Ohio, Kentucky and Indiana, the good folks at Ale-8-One will ship you “A Late One”—or a case—if you live outside their distribution area. There are as many variations of apple butter recipes as there are towns and hollers in the Appalachia. Apple butter was brought to Central Appalachia by German settlers in the early 1700s, who moved into plentiful apple growing regions of North Carolina, Tennessee, Kentucky, West Virginia and Georgia, according to the Encyclopedia of Appalachia. But the traditional sweet, fruit spread is still a popular back-home product. “We’d have it at dinner on biscuits,” says Louisville, Ky. resident and food writer Dana McMahan, originally of Nancy, Ky. She recollects what she ate as a child probably came from Haney’s Appledale Farm, also located in Nancy, near Somerset and Lake Cumberland in southeastern part of the state. “They have the best apples and apple pies. Their apple butter reminds me of being at home,” says McMahan. White Lightenin’. Corn Liquor. Rotgut. Mountain Dew. Moonshine. All names for untaxed, high-proof, distilled spirits often a clear whiskey. For this beloved mountain export, we can’t tell you where to get the good stuff. Used to be, you either know where to find it back home, or you were out of luck. Now, well that’s still the case, but some small distillers are marketing legal versions of white lightenin’. But this begs the question, “Is it really ‘shine if you’re paying taxes on it and buying it at the counter of the liquor store?” However, if that doesn’t bother you, check out these sources: Stillhouse Original Moonshine ($40) from Culpeper, Va.; Catdaddy Carolina Moonshine and Junior Johnson’s Midnight Moon ($24.99 each) by Piedmont Distillers in Madison, N.C. and Devil John Moonshine ($29.99) from Barrel house Distillery in Lexington, Ky.
What Appalachian goods will you stock up on your next trip home? Tell us in a comment. Not to leave out the biggest of all mountain soft drinks: Dr Pepper. 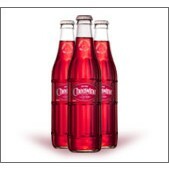 Long a national brand that ranks third in sales nationally, Dr Pepper was invented by former Confederate surgeon Dr. Charles T. Pepper in his pharmacy in Rural Retreat, Va. That’s in Wythe County. Local legend has that Dr Pepper spent time mixing mountain herbs, roots and seltzer into a fizzy brew which ended up being the recipe for Dr Pepper. Thanks for all the info on this! 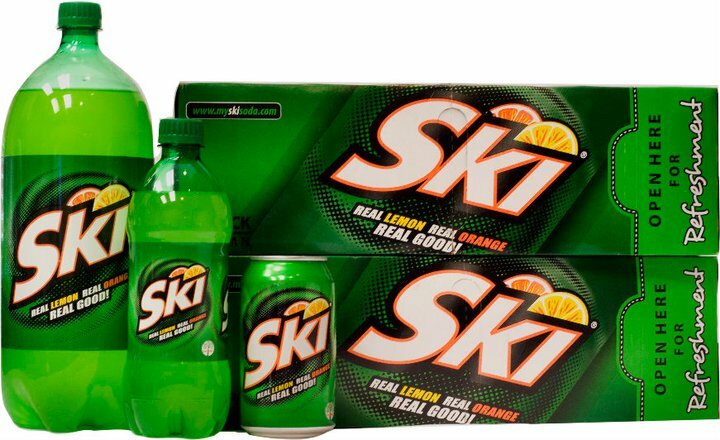 I wonder if this is the most popular or best-selling food/beverage export from the mountains? Apple Butter, Durkee Sauce, & Benton’s Bacon – none of which are available in Hong Kong. Do you stock up when you are state-side or can you have any of this shipped to you? Shop when state-side….. 12-16 pounds of bacon at a time…. Large jar of apple butter, and one bottle of Durkee Sauce.